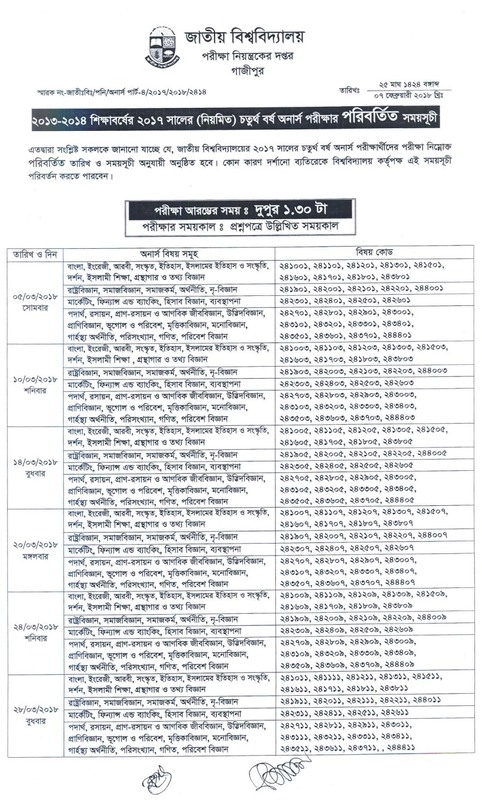 National University Honours 4th Year Exam Routine published !National University 4th year exam will be start on 05 March 2018. You will can easily download your National University 4th year routine 2017 from our website. Honours 4th year Result, Exam Notice also found here. Nu Notice updates about Honours 4th Year Final Examination 2017. This Exam Will be held on 05-03-2018. 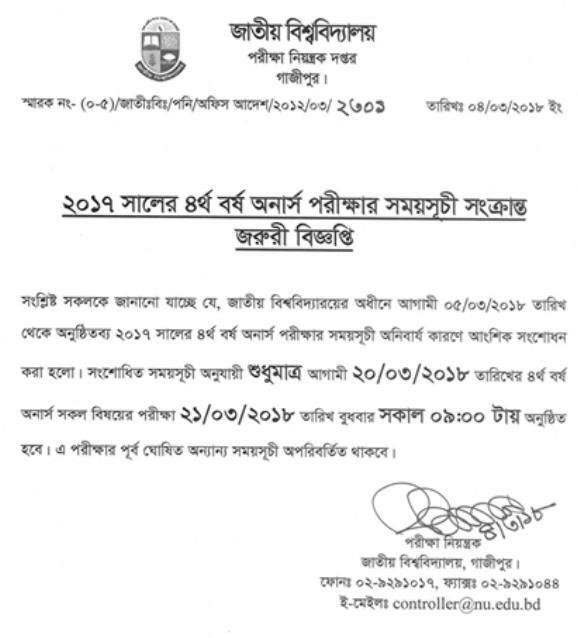 National University 4th Year Exam changing Routine are available here. Download this Updates notice about your final exam 2018. You can Download Honours fourth year Routine as a JPEG from there Official link. 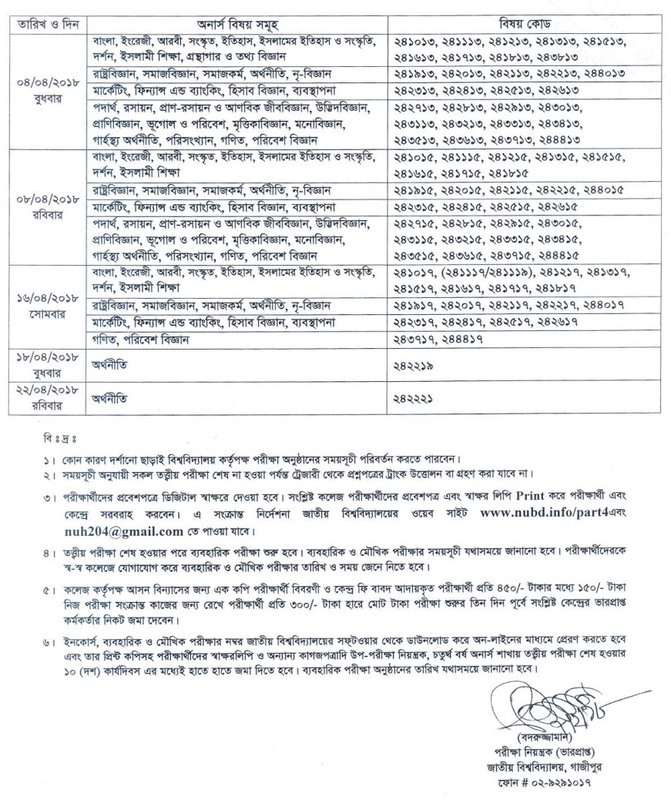 www.nu.edu.bd for more information. Before see this Exam Routine you have to Download this From bdeducationinfo.com website. Hope You successfully Download this Exam Routine Updates about 4th Year final 2017. Keep Visit my website for more information. Hope You Download honours 4th Year Exam Routine From My website. Stay with us For Get Your Honours 4th Year Final Exam Routine February 2018. This entry was posted in Exam Routine, Notice and tagged routine by admin. Bookmark the permalink.